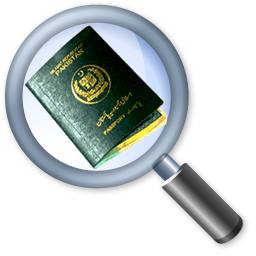 Directorate General of Immigration and Passports, Government of Pakistan has launched a system for online tracking of the status of a passport application. This passport tracking system is free of cost. This service has been initiated for welfare of the passport seekers. This service will now eliminate unnecessary delays, repeated visits to the passport offices and involvement of agents/ touts. This service will save time and money and give access to information at grass root level. This new online tracking system is in addition to existing system for tracking through SMS. How to Track Passport Status Online? First of all you have to get registered on DGIP website at this URL tracking.dgip.gov.pk/CreateUser.aspx . It is very simple to make an account there. Here you can check the status of Machine Readable Passport (MRP) processed within last three months, just by entering 11 digits token number/ tracking code. Every successful logged-in user can track passport status for only 3 times per day. How to Track Passport Status through SMS? 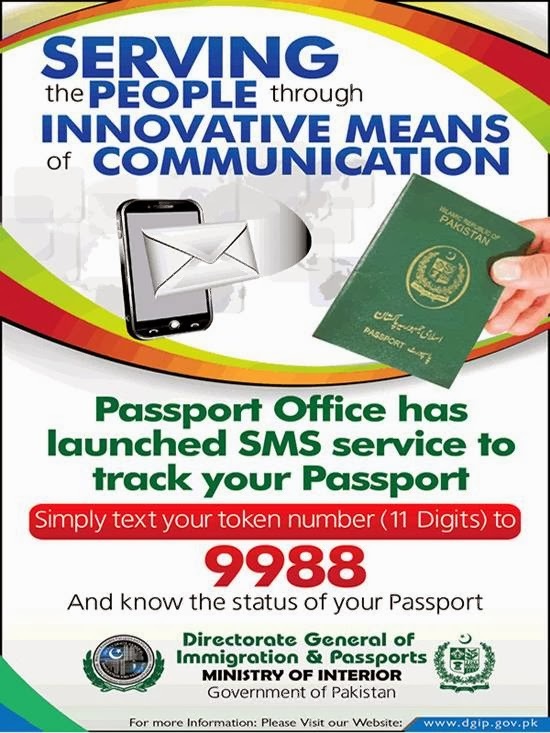 Alternatively, there is also a simple SMS system to track status of your passport. Write your 11 digits token number/ tracking code in "Write Message" section of your mobile and send it to 9988. This unique tracking code can be found printed on your token which you got while applying for a passport. An applicant would be informed about the box id and shipment date for collection of passport, if passport has been prepared. Status of passport if it is still in process. Passport office requires more verification. An invalid token id has been entered. Disappointment! I m here in KSA n i m applied passport n i m checking my status thr sms service ..my sms sending fail. Please aap overseas walo ko bhi status chk ka batain??? Even the website is not able to provide any information. The helpline is always busy. MRP tracking is not working..
MRP tracking is not working still...! I am agree with everyone. no tracking, no response from your email or queries. Checking my passport renewal been applying more than 50 days. No idea where the passport is???? Use the below link, it is working. I applied online for my passport renewal almost 3 months ago and its still in process... the helplines don't work nor have they replied back to my email inquires. anyone here knows of any contact or email that works?